This bag will become an instant classic. 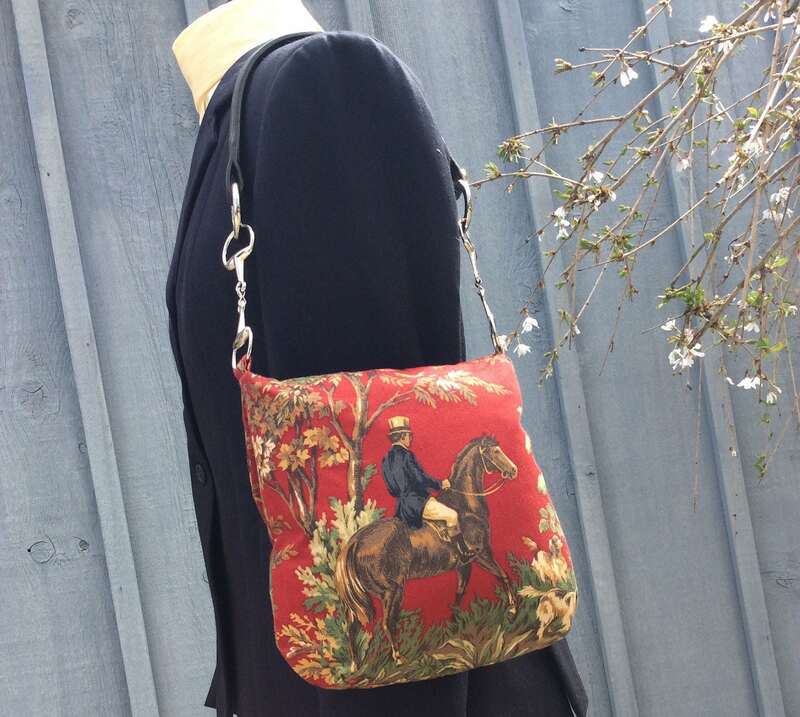 It is made with Ralph Lauren fabric from the Ainsworth collection. 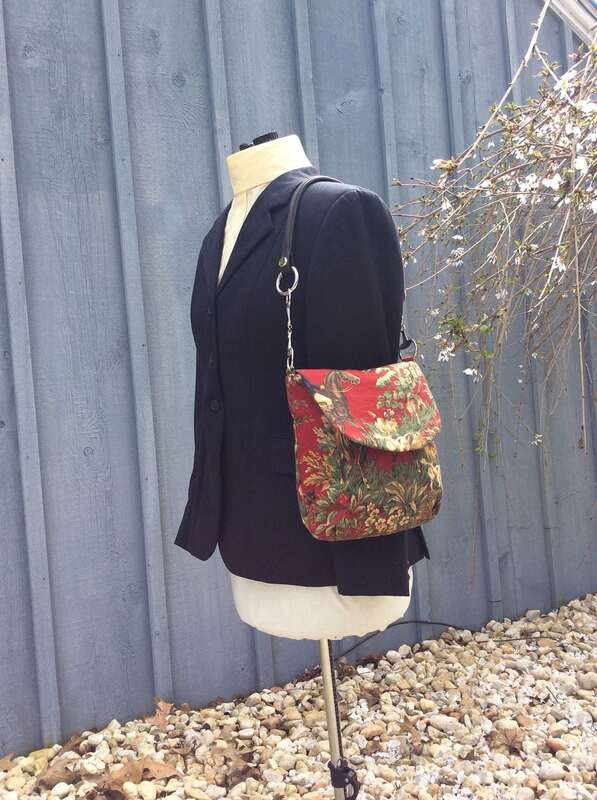 Like most of my fabric, it is now out of print so this purse is part of a limited edition collection. It is a deep rich red and the scene is a depiction of the fox hunt. 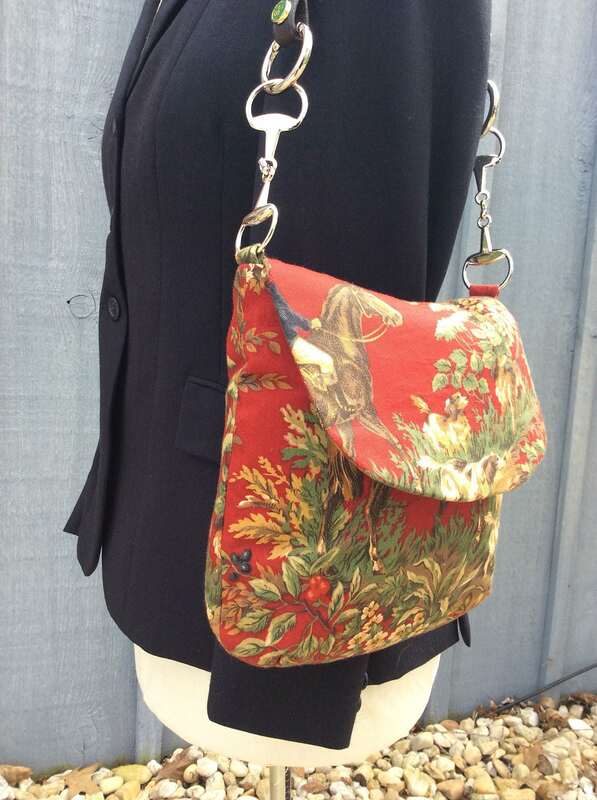 This bag measures 10"Hx9"W. The bag is lined in dark brown organic cotton and has an interior slip pocket. The flap closes with a magnetic snap. This bag, like all my bags is double layered with interface so it will maintain its shape. I have used 2 5" silver snaffle bits to attach the leather handle. if you would like a different shape or size just message me and we will create you a custom bag. 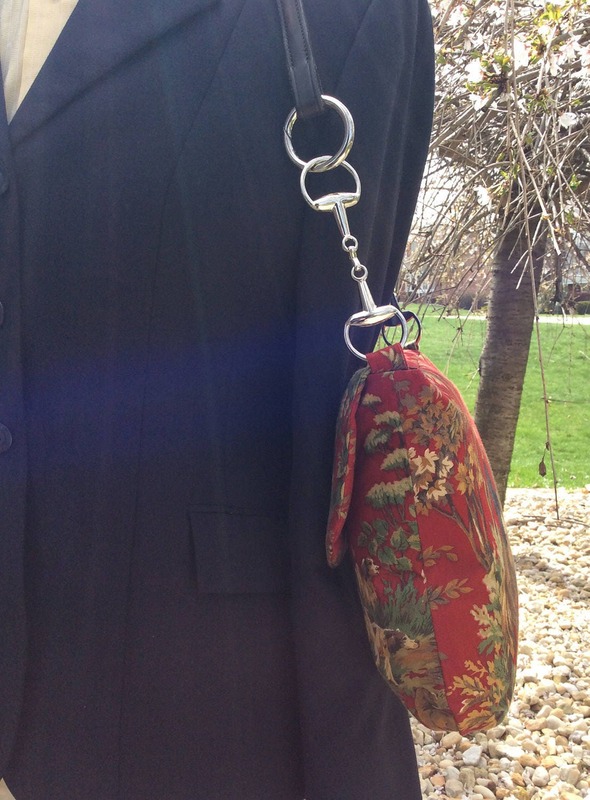 If you want to use your own bridle pieces we can do that as well making the bag even more personal. This bag is also available in navy. Designed and created in the USA. This is a custom order. Please allow 2 weeks for delivery. I create custom gifts using a customers own items. For the equestrians, I will design using colors of their choice,photo linings in my bags and I incorporate their own tack into their piece. I also create custom wedding bags using a piece of fabric that means something to a customer(mothers wedding gown for example) or a photo lining. These are only a sampling of ideas. If you can think it, I can make it.